The Do 217 got its start based on the successful Do 17, but while they had roughly the same shape, they differed greatly in many ways. The Do 217 was a more powerful, longer ranged, and carried a heavier payload than the Do 17. First taking to the air on October 4, 1939, the Do 217 went through a phase where several different engines were tried out in the prototypes. Eventually the BMW 801 engine was chosen for the main variant, the Do 217E. The Do 217E was the first main operational version, with several subvariants branching off, including the E-2 with heavier armament and the E-5 fitted with equipment to launch the Hs 293A radio-controlled bomb. This last variant saw action against Allied shipping in the Bay of Biscay towards the end of 1943. 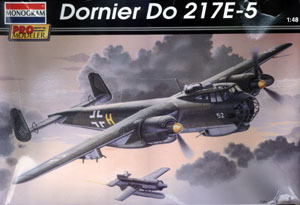 The Do 217 also found itself pressed into night fighting duties and new engines and a longer wing changed the appearance of the plane, as did the radar-equipped nose. Development continued on with the series, eventually culminating in the Do 317, flown at the end of the war. This has been a plane that I've wanted in 1/48 for quite some time now. 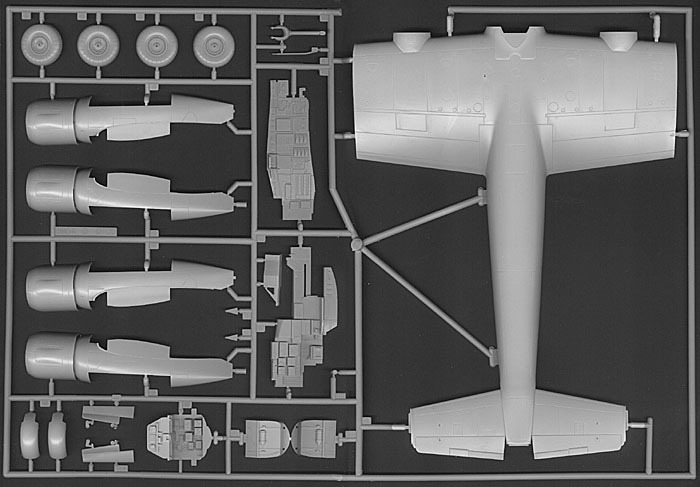 While the MPM vacuform was a good start, there was a lot of work involved in making it into an accurate Do-217. Monogram has come to the rescue, though, with this beautiful model of the Do-217E-5. With it being a Pro Modeler release, you can count on some excellent detailing throughout. 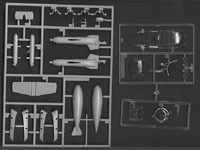 The parts are molded in a light gray plastic, with three large trees making up the main plane, one smaller tree with the Fritz X bomb, and one tree of clear parts. Of course the first thing I looked for was the possibilities of different variants in the future and it looks like Monogram has planned that out. There's a seam in the fuselage just ahead of the wing, giving the possibility of a night fighter Do 217J/N or night bomber Do 217K as future release possibilities. Staying with the nose, the cockpit interior is very well detailed, on par with the Me 410. There's plenty that's going to be visible under that large canopy, and Monogram has gone the distance here to reproduce as much as possible. 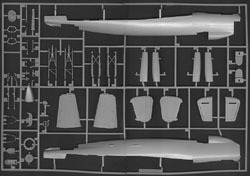 There is no less than 25 separate parts for the cockpit tub, with additional parts being fitted to the canopy as well. Be prepared to do a lot of detail painting in this cockpit. The breakdown of the kit is somewhat odd on initial appearance, but on further examination it seems that Monogram has really put some thought into future variants. 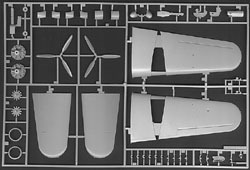 The wing is broken down into an upper center section that includes the top rear of the fuselage and two upper outer panels. The bottom of the wing is one piece. This hints at a possible long-winged Do 217 in the future. The only downside to the wing is the ailerons, which has a deep channel cut into the wing. In fact, this should go through the wing altogether, as there was a very large and visible gap between the wing and aileron. The same thing is apparent on the leading edge slat on the vertical stabilizer, but not nearly as bad. The wing will be very difficult to correct. The engine nacelles are well done, although there's only a front half of the engine. Of course, once this is put into the cowling and the impellers are in place, you're not going to see very much anyway. A firewall blanks off the front of the wheel well and there's a bulkhead to blank off the rear. Detail is present in the wing to make up the wheel well roof. The landing gear is nicely done and in as few parts as possible, which should keep it fairly strong. The weapons for this particular variant include one drop tank and one Hs 293A missile. 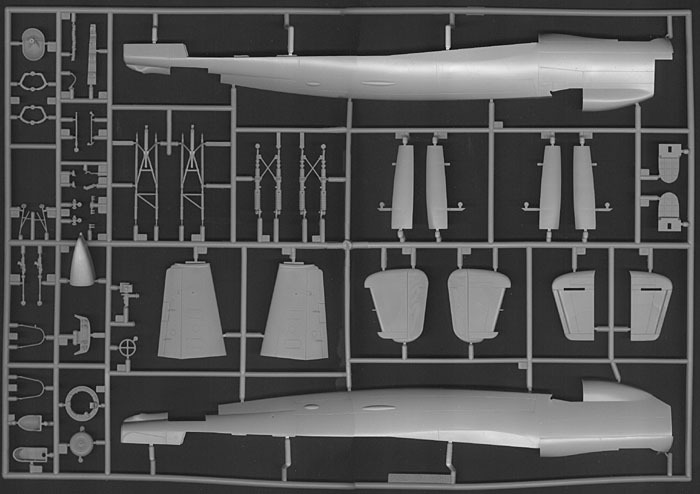 The missile is almost a kit in itself, with 8 pieces total. The only other armament on this plane is in the form of machine guns in the cabin, and these are finely detailed and come complete with ammunition belts and chutes. The clear parts are very crisp and thin, and all you have to do is look at the boxtop to realize that you're in for a bit of masking fun. Greenhouse nose and upper canopy, plus the lower rear section gives you plenty of windows to mask of before painting. Speaking of painting, you've got two choices in this kit. Both are finished in RLM 72/73/65, so there's not much choice in base colors. However, while the boxtop example is rather sedate, the second option punches things up a bit by adding a wave-mirror pattern in RLM76 over the base camouflage. 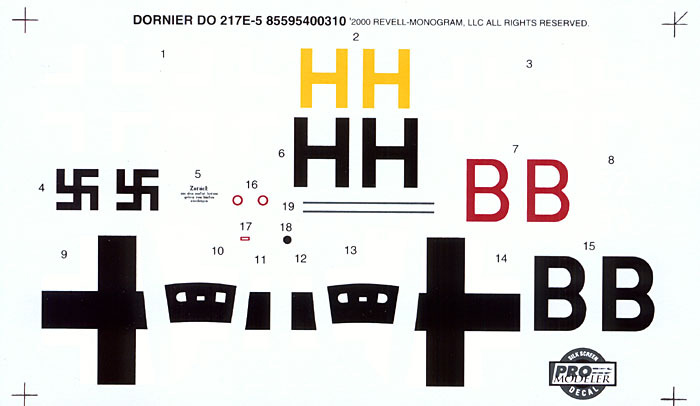 The decals are the usual Pro Modeler silkscreen decals and are in excellent register. There's a lot of white on this decal sheet and my experiences in the past with Pro Modeler decals has me satisfied with their opaqueness over the dark camouflage of this plane. With a retail price around $30 and discount shops probably putting it out for around $20 or so, this is a kit that is well worth every penny. 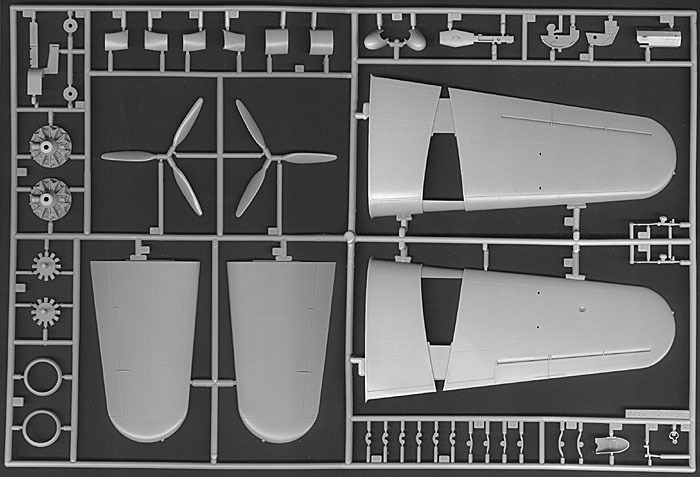 Whether you do the kit version or backdate it to an earlier Do 217E, this kit has lots of potential and is likely to be a very fast build. 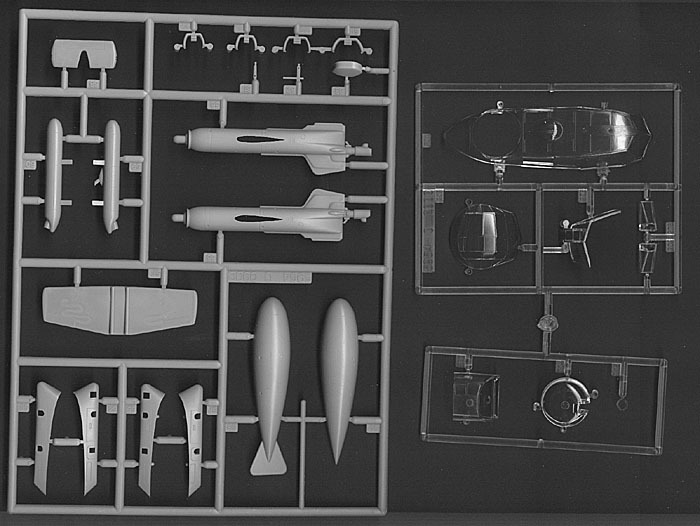 This is a definite must-have for any Luftwaffe modeler.